Anguilla’s previously lagging tourist arrival numbers are rebounding and its hotel base expanding after a sharp decline in overnight visitors in the wake of the global economic collapse between 2007 and 2009, the country’s top tourism official said Monday. Hadyn Hughes, Anguilla’s parliamentary secretary for tourism, said numerous failed hotel development projects during the same years added to the country’s difficult tourism picture. Anguilla hosted 69,068 overnight visitors in 2013, a 16.2 percent increase from the 57,891 visitors who arrive in 2009, said Hughes in a statement. One-day visits have also increased Hughes said, up 34.1 percent to 82,235 visits in 2013 from 54,224 in 2009. Despite the recent growth, Anguilla remains behind a high of 77,652 overnight visitors in 2007, said Hughes. Hughes said Anguilla’s government has reached agreements with developers for several new hotel properties ranging from 50 to 134 rooms, as well as significant refurbishments at a number of existing resorts. The projects include a 50-room hotel at the Solaire condo development in Lockrum Bay and a 134-room hotel at the Zemi Beach Resort in the Shoal Bay region. 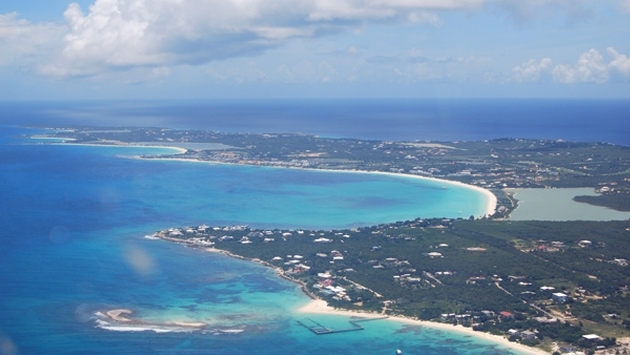 He cited Cap Juluca as one of several projects the government reached agreements with developers to renovate between 2002 and 2008, only to see those plans fail to materialize. Recent promotional events, including the Anguilla Music Awards and Anguilla Fashion Expo, have raised the destination’s profile while providing opportunities for Anguilla creative professionals, said Hughes. Anguilla has indeed enjoyed increased visibility. The island was voted one of the “Top 10 Islands in the Caribbean & Atlantic” in Conde Nast Traveler’s Reader’s Choice awards. In addition, the Viceroy Anguilla, Cap Juluca and Cuisinart Resort and Spa properties were all included on the magazine’s “Top 25 Resorts in the Caribbean” list. Anguilla’s government is also working on the development of tourist attractions including a Marine Heritage Center and an Amerindian Heritage center in Shoal Bay said Hughes. “There is no doubt that these initiatives will enhance our product and elevate our standing in the highly competitive hospitality market,” he added.